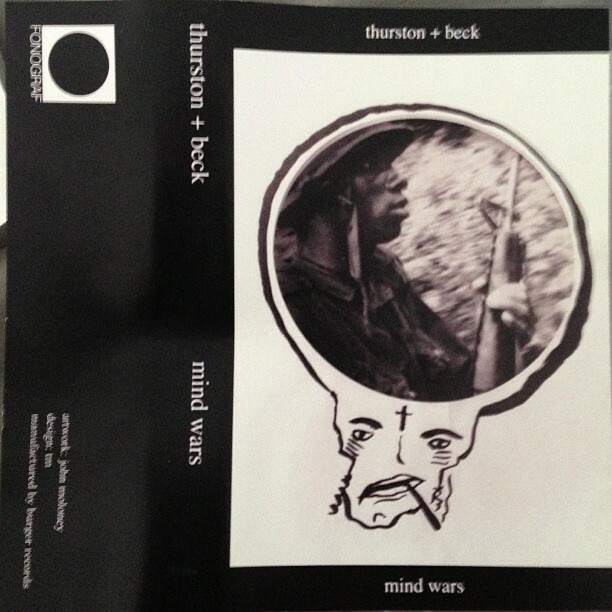 Mind Wars is a mini-album recorded by Beck and Thurston Moore. It is entirely instrumental, a 2-track sound collage. The cassette was printed in the USA, but ONLY sold on Beck's short Australian tour of 2012. There is very little information on it. The front says "Thurston + Beck" and the title. The back of the j-card has Fonograf's logo, and the info: "artwork: John Moloney, design: tm, manufactured by burger records." The inside of the j-card has a similar piece of art as the front, and on my copy someone has written "25/270" implying that only 270 of these were made and mine is #25. 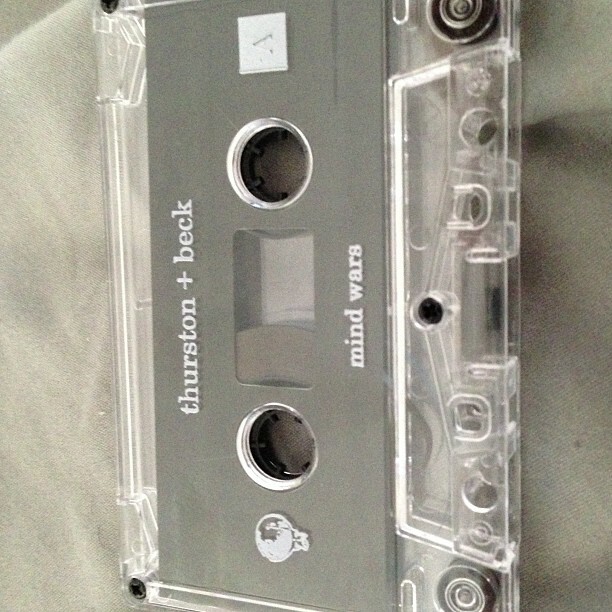 The cassette itself just labels each side as A and B.